For a few years now, spring and summer prints have been getting fruity. From pineapples to cherries, vibrant-colored fruits apparently make great prints. This year, fashion is giving us lemons, and I’m ready to style ’em. 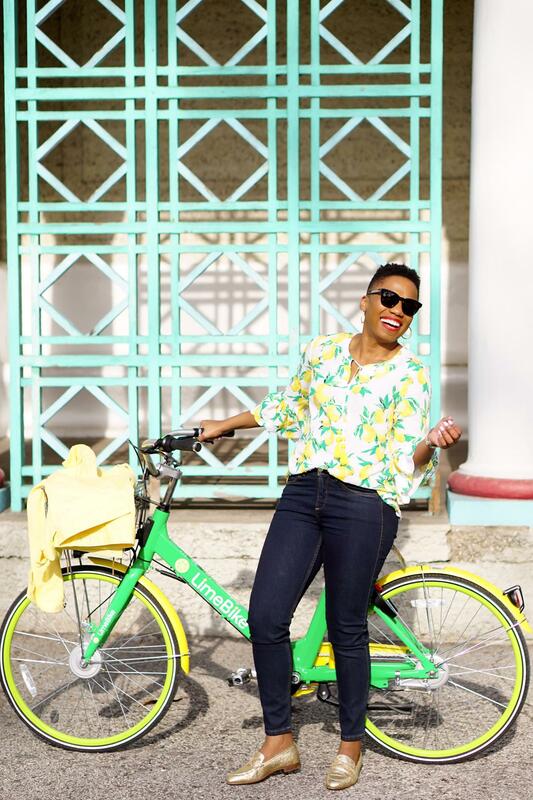 Today’s post shares how I’m indulging the lemon print trend. My blouse was a cool gift I received fr0m Rafaella (shop it here on sale). I usually avoid novelty prints because I find them somewhat girlish. I’m glad I got to see this blouse in person before dismissing it. I fell for it instantly! 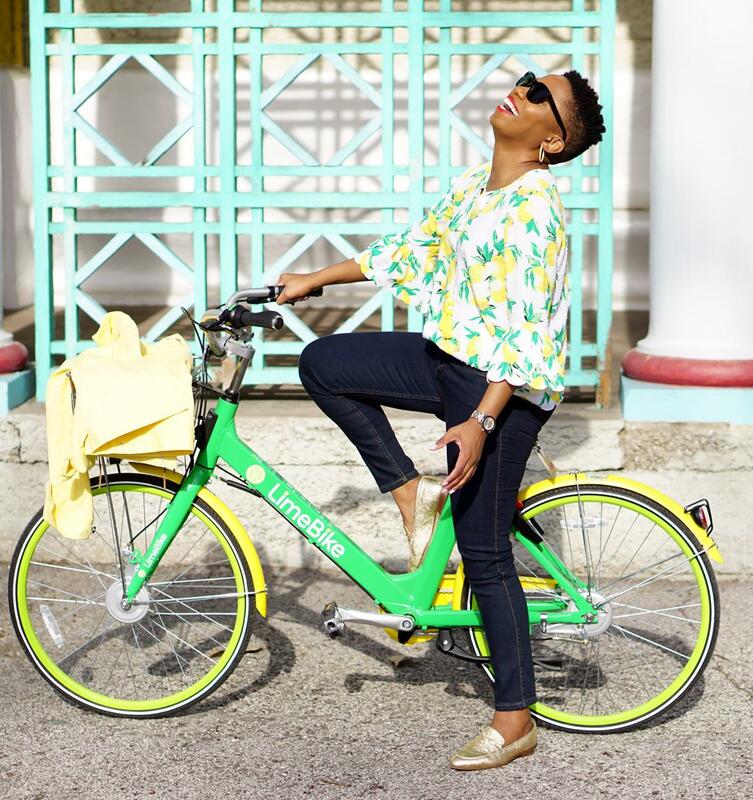 If you’re following me on Instagram, you may have seen my post about LimeBike, the ride share company, finally entering the St. Louis area. Wait a minute, you are following me on Instagram, right? 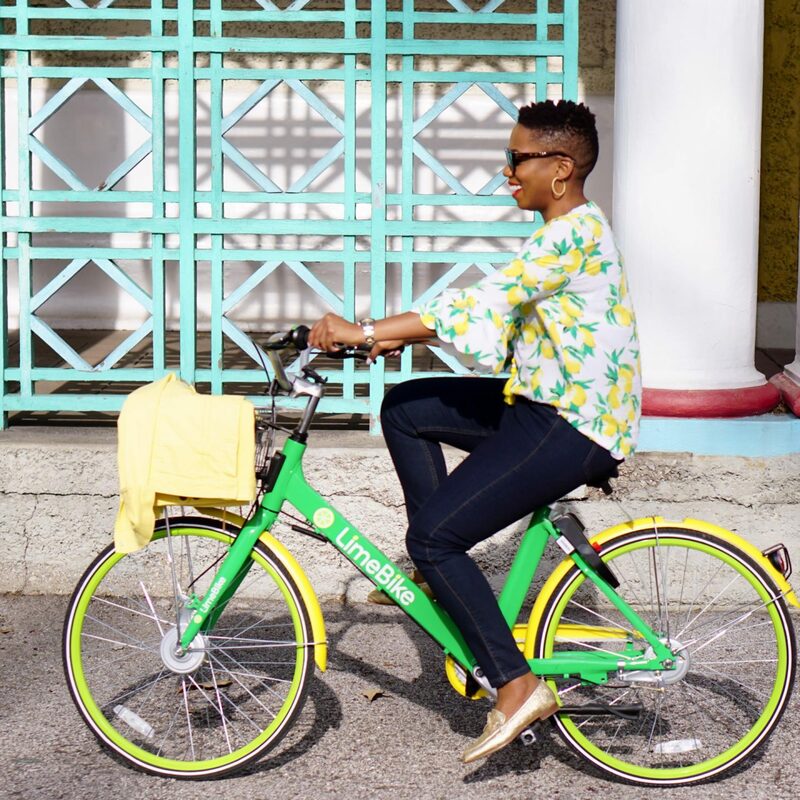 LimeBike shared that photo (show some love on that pic here). 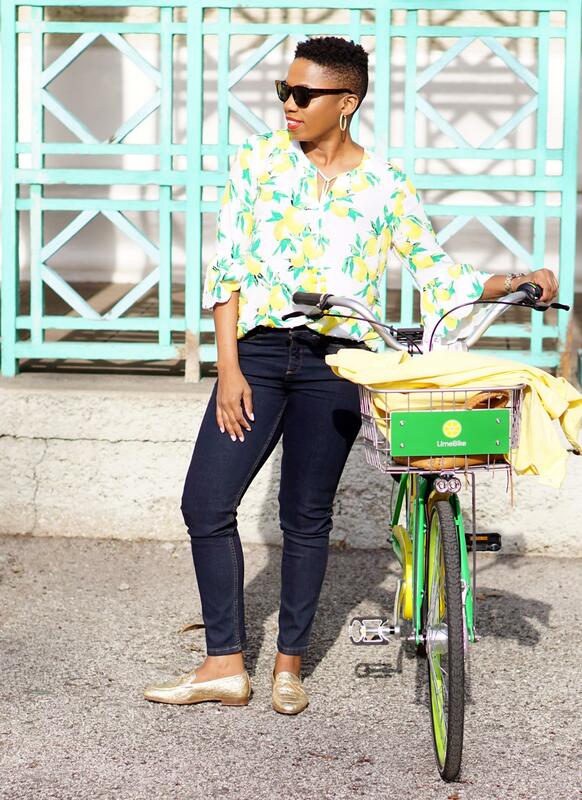 Lemon print blouse. 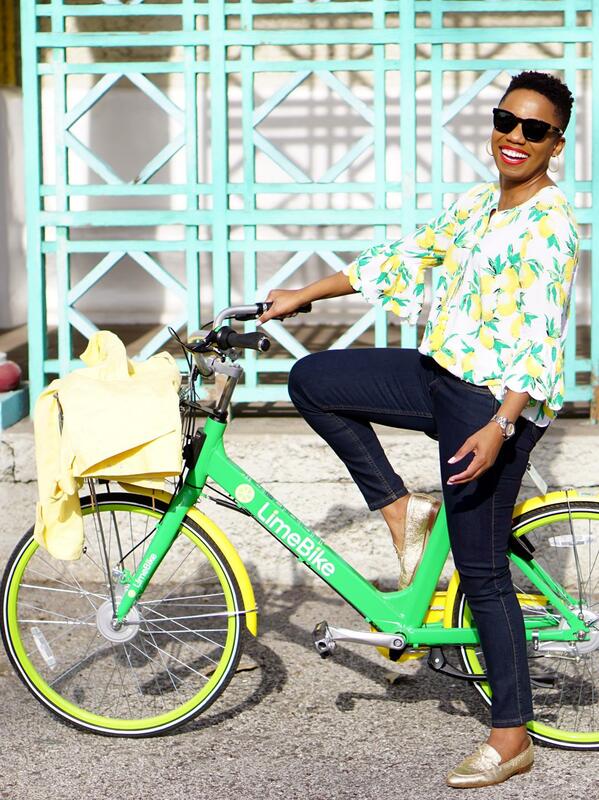 LimeBikes. What can I say? This photoshoot had to happen. By the way, it is true what they say about never forgetting how to ride a bike. 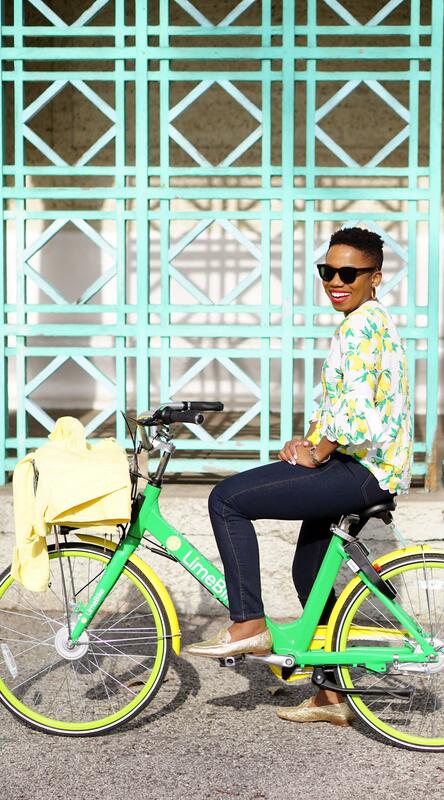 The day I got on this LimeBike was my first time on a bicycle in over 25 years. It was just like old times.